Inspired by the grace and sophistication of Hollywood legend, Audrey Hepburn. 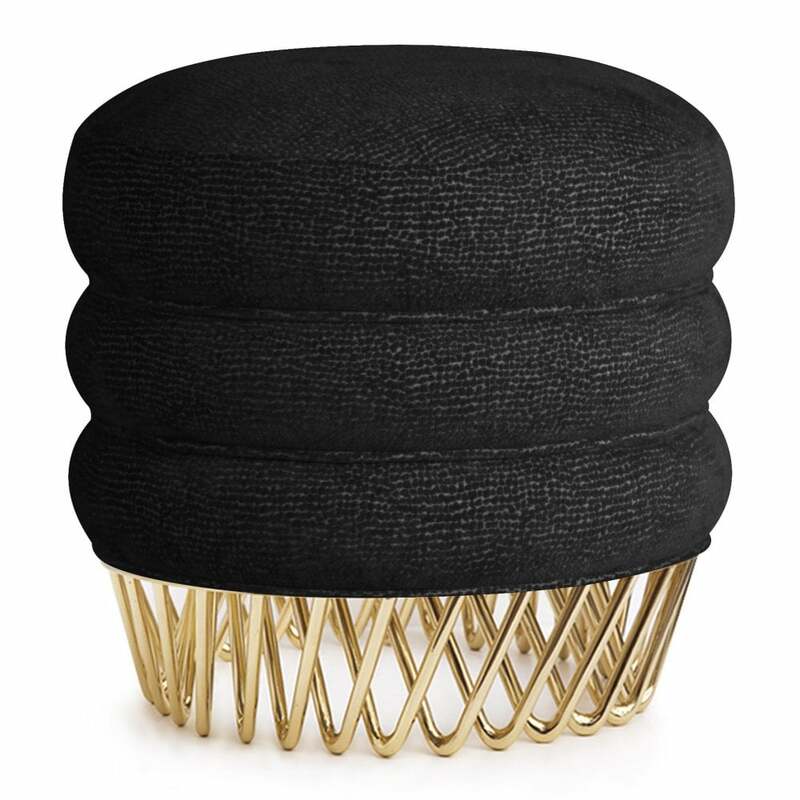 The Audrey Stool by Ottiu has a delicate frame crafted from polished brass and upholstered in a cotton velvet. Inspired by mid-century modern shapes, the golden piping gives a luxury element to the Audrey Stool. A decorative piece perfect for a contemporary home. The stool is formed with layer upon layer of soft cushioning for a luxurious feel. The Audrey Stool has a feminine style that works beautifully in a girl’s bedroom or in the corner of a pretty dressing room suite. Get in touch with our team for more fabric and colour options. Priced for Upholstery: Ottiu Fabric. Structure: Polished brass. Details: Golden piping.